New dwelling consents issuance is flatlining – despite the boost from strong growth in multiple dwellings consents. The latest Statistics NZ consents data shows that, once seasonally adjusted the number of new dwellings consented rose by 5.7%% in February. That increase comes off the back of no change in January and a 9.6% fall in December last year. But the total number of new homes consented inched up by just 3.6% in the year ended February 2018, as compared to the February 2017 year. Further, while consents for apartments, townhouses, and units rose strongly, consents for stand-alone houses were down. Statistics NZ construction statistics manager Melissa McKenzie says consents growth in the last 12 months has been driven by multi-unit dwellings. Westpac economist Anne Boniface agrees, saying the solid lift in headline consent issuance was driven by a pickup in issuance for multiple dwelling/apartments in February. But the data highlighted an interesting trend in Auckland which has seen consent issuance lifted noticeably over the last year to three and a half times the 2009 lows, she says. They expect construction activity to remain elevated for some time, as the large pipeline of residential building work required to alleviate Auckland’s significant housing shortage works its way through the system, Boniface says. “However, with the residential construction sector operating near full capacity, there is limited headroom for very strong growth rates from here. For ASB senior economist Jane Turner, the consents data shows the trend in nationwide residential issuance has flat lined and capacity constraints are likely to be biting. Turner says that growth in Auckland consent issuance has slowed which likely reflects capacity constraints in the construction sector. Meanwhile, Wellington consents have been strong, but construction sector capacity may soon start to slow growth in the capital also, she says. 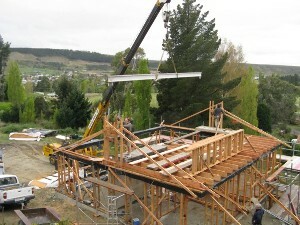 “It is likely that uncertainty around the new KiwiBuild policy is temporarily weighing on housing construction demand.